As the title of his new autobiography suggests, Michael was born to race, in a family of road racing stars. He has continued the winning reputation established by his father Robert and uncle Joey, with a total of 13 TT victories to his name, including both Superbike races at TT 2016. 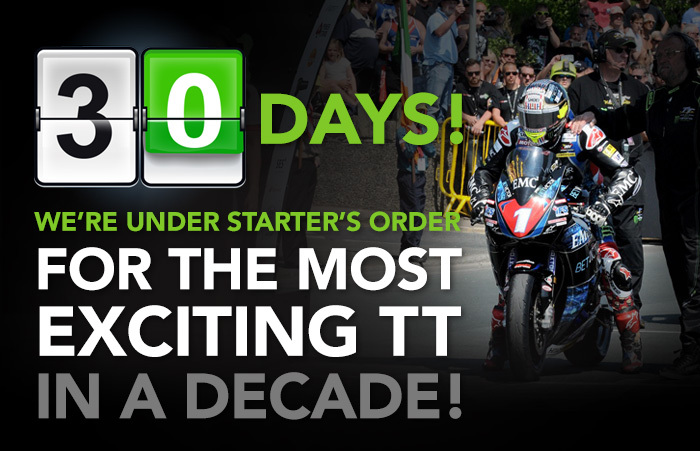 He also became the first rider to lap the TT Course at an average of over 133mph - and the first to lap in under 17 minutes! 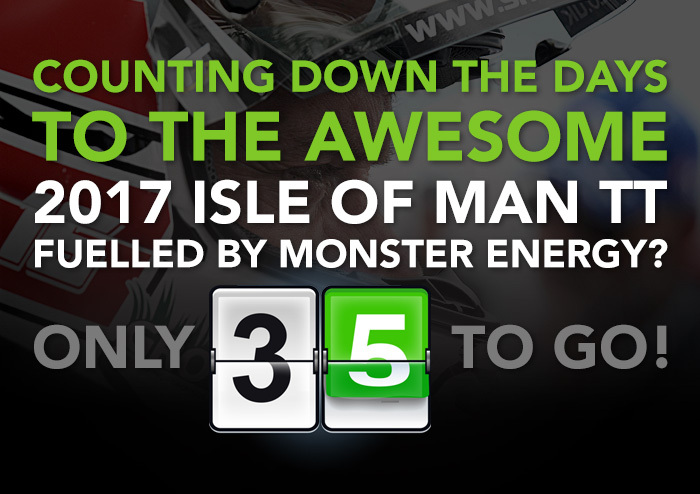 Whichever you choose you can be sure that you're in for a great read, and a sensational 2017 Isle of Man TT fuelled by Monster Energy. Brand new pressing! Classic 1960s LPs brought back to life on heavyweight vinyl by Duke. ON THESE RECORDS YOU HEAR . . .
… The three-capacity class Production Machine race which provided ex-MV teamster John Hartle with his ‘come-back’ victory on the Geoff Duke entered 650 c.c. Triumph. The popular Manx success of Neil Kelly on his Thruxton Velocette in the 500 c.c., and the controversial Bultaco Metralla’s of rivals Bill Smith and Tommy Robb who dominated the 250 c.c. class. The 'ordinary bike' race lives again. … The fabulous, contrasting Japanese two-stroke ‘works’ machines of the Yamaha and Suzuki factories in ‘full song’ through Glentramman. ….The full-blooded roar of the race- and lap record breaking Honda ‘4’ of Mike Hailwood over Ballaugh Bridge. … the drama of the lap 3, 45 seconds pit stop by race leader Agostini and challenger Hailwood, the MV 500 c.c. ‘3’ in full song - and the dead silence as he pushes in to complete lap 5 with a broken chain. The sympathetic and warm applause of his many admirers as he ends an unhappy ‘birthday’ walk. … The incredible new 297 c.c. Honda ‘six’ rushing along Sulby Straight. … The M.Z. twin, water-cooled two-strokes of Heinz Rosner and Derek Woodman. … Stanley Woods telling of his wish at the ‘Fairy Bridge,’ and congratulating Mike Hailwood on beating his 10 TT victories record. … The Helmut Faths URS ‘4’, the Ray Pollard ‘Imp’ ‘4’, the Honda ‘Cat’. … Agostini interviewed by Mike Hailwood! … Hailwood on his Junior—Senior lap record breaking ride. To the connoisseur of motor cycle road racing there’s nothing more exciting than a crisply defined exhaust note. Each racing machine has its own distinctive ‘noise’-and to hear cleanly executed gear changes is ‘music’ to the ear of the enthusiast, as the varying throttle openings produce the three or maybe four octave range. No more exacting, demanding or variable race course exists in the world than the 373/4 mile ‘Mountain’ circuit in the Isle of Man: no more variety of machines can be seen–and heard–anywhere than at the Tourist Trophy races, which this year (1967) celebrated their Diamond Jubilee. It is as a permanent record of this great series that we present these records (a set of two). In purposely letting the ’sounds’ tell their own story we moved our microphones around to 24 different, exciting positions–each one stamping its own character on the ’tunes’ played. Not only the thrilling sound of the machines can be heard–but the whole record-breaking ‘Diamond Jubilee’ atmosphere is faithfully recaptured for you to hear time and time again. You can listen to a wide variety of machines in ‘full chat’ –and the riders, too, in full chat in ‘on the spot’ interviews, as they talk happily about their races and technically about their bikes. 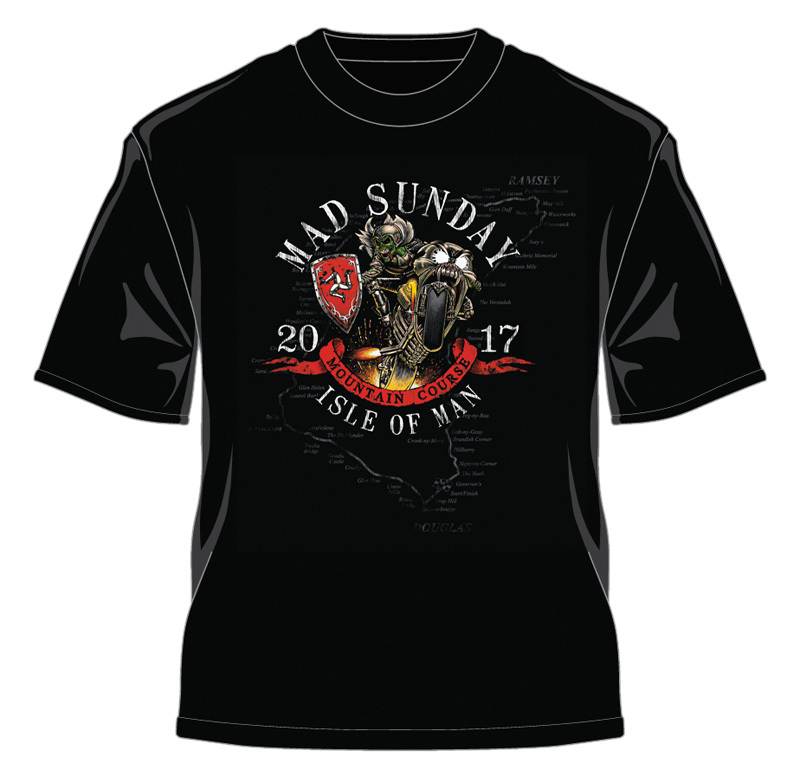 The 1967 Isle of Man Diamond Jubilee T.T. races will long be remembered as the record-breaking events they really were–and here’s one record you won’t want to break! In our endeavours to include as many varying ‘exhaust notes’ as possible (and we feel we’ve got ‘em all this year), and to also let them be heard from numerous locations, the race commentary as such has been dispensed with. 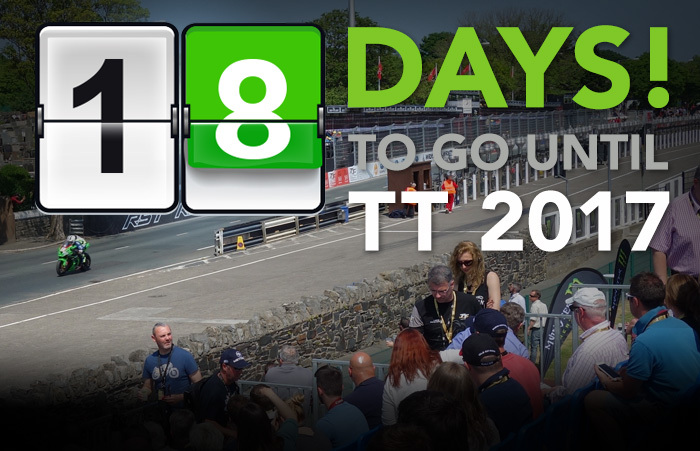 The excitement and drama is real–recorded as it happened in the pits and on the circuit via the Public Address system provided by Manx Radio, often by commentator Peter Arnold, who also conducted the ‘on the spot’ interviews–thus preserving the continuity. 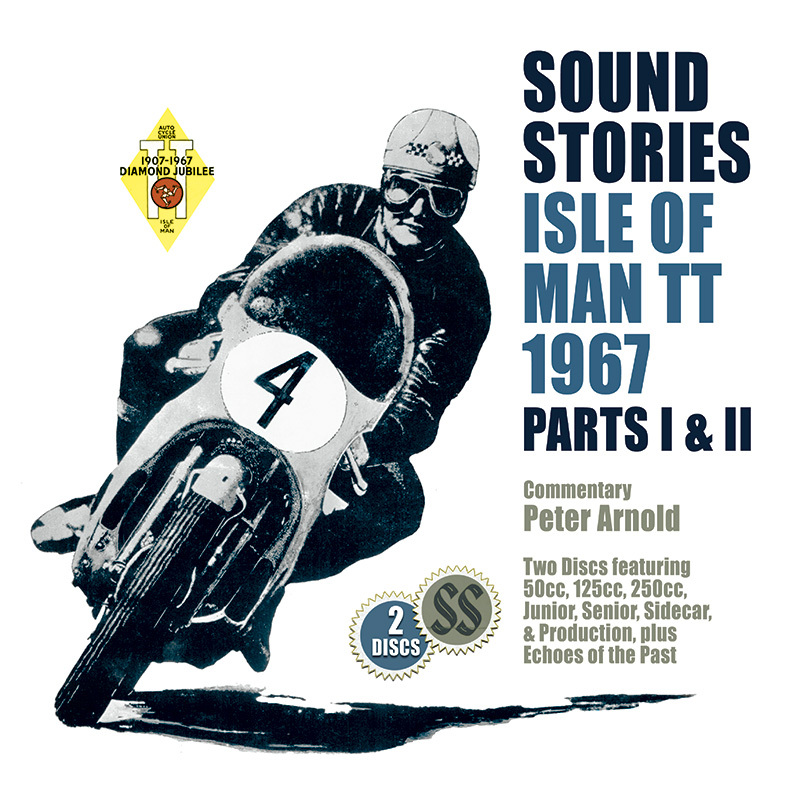 But it is in the exhaust notes–on and off key–that this 1967 Diamond Jubilee TT Sound Stories is musically written–and they speak for themselves. 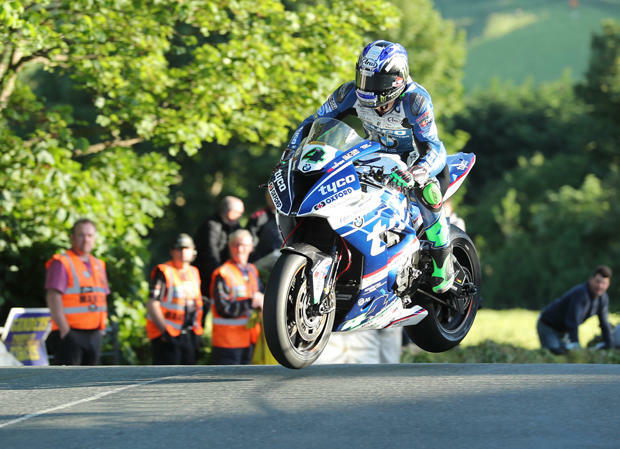 After a frustrating start to the week for the 2017 Isle of Man TT Races fuelled by Monster Energy, qualifying finally got underway on Tuesday evening and last year’s headline makers – Ian Hutchinson and Michael Dunlop – immediately took up where they left off last year, setting the pace with 125mph+ laps. Just after 8pm it was the turn of the F2 Sidecars and it was local heroes Dave Molyneux/Dan Sayle who set the pace with a lap of 110.913mph, which was just quicker than Pete Founds/Jevan Walmsley (110.427). An impressive lap came from Tim Reeves with newcomer passenger Mark Wilkes, the duo lapping at 109.719mph to go third quickest. 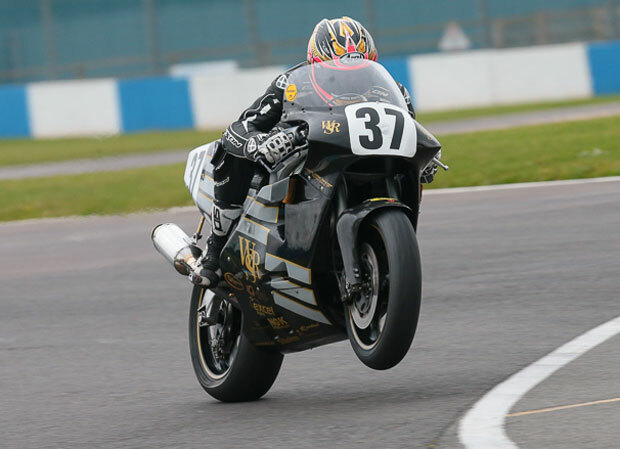 Popular Australian rider David 'Davo' Johnson kicked the TT 2017 RST Superbike race into life as he launched his gleaming 1000cc Norton beast off the line, carrying the number 1 plate. Norton vs Kawasaki vs Honda at the Isle of Man TT 2017! Michael Dunlop won a shortened PokerStars Senior TT race at the 2017 Isle of Man TT Races, fuelled by Monster Energy on Friday evening with the Bennetts Suzuki rider taking his 15th TT victory by 13.3s from Peter Hickman (Smiths Racing BMW) and Dean Harrison (Silicone Engineering Kawasaki). The battle for sixth also went all the way to the end with Brookes, who lapped at 130.883mph fourth time around edging out Norton team-mate David Johnson. Cummins, Martin Jessopp, who recorded his first 130mph lap, and William Dunlop completed the top ten. bei der Classic TT Isle of Man. https://www.youtube.com/watch?v=GWWd31mCMOc DER BESTE FILM !!! !